Our company Caseificio Progresso founded in 1974 from an idea of Giovanni and Emanuele Rosso brothers, it continues to be an handcrafted family-run business to the second generation specialized mainly in the production of traditional cheeses. In these years we are always marked for the professionalism and the quality of our typical products made in the handcrafted way, knowing how to combine genuineness and goodness. We buy and we work only the best milk from local companies with livestock grazing to keep unchanged the scent and the flavor of our territory: the end consumer will thus be able to taste a good, healthy and genuine product. 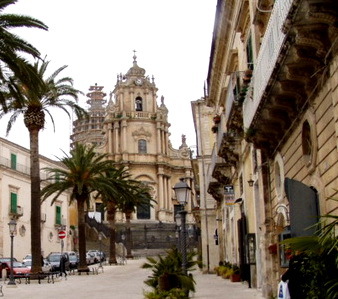 We are in Ragusa, in the south-east of the Sicily, immersed in the lovely Monti Iblei, also known as the places of Commissario Montalbano, surrounded by wonders considered World Heritage Site by UNESCO, such as Ragusa Ibla and Modica. We manage the production and the marketing of various types of cheeses like the typical and traditional cheeses in our area: some examples are the "Cosacavaddu" and the "Ragusano D.O.P." 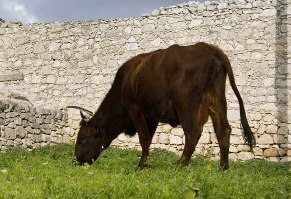 The majority of the production is for the "Cosacavaddu"cheese, one of the most ancient historic cheeses of the Sicily. It owes its name to the way it hangs, attached to couple at the ends of a rope "Liama" and riding on a wooden beam and obtained with the same methodology used in the past and with the same wooden equipment of a time; it's an handcrafted and an handmade product. The secret to getting a good "Cosacavaddu" is the use of milk from cows grazing in the Iblei highlands, from farms selected by us in time. The properties of the typical, various and local fodders are transmitted in the cheese, giving it a savory, strong and spiced taste and a yellow-golden color. To make the Italian Cheese Halal, in 2015 we obtained the Halal certification in order to meet the needs of Islamic faithful. The Halal cheeses are produced with the use of cow's milk, Halal certificate rennet and salt. Halal means literally "allowed". The term has a broad meaning, insofar it refers to any action that a Muslim (or rather an Islamic believer) can do or an asset that can consume. In the West the word Halal is generally combined with the meaning of "allowed food" or "permitted by Islamic law". The opposite of Halal is Haram (forbidden). You can find our creations only in the best retailers and supermarkets who are looking for their customers only the best products. We can send our products vacuum-seal using the freezing method all round the world.